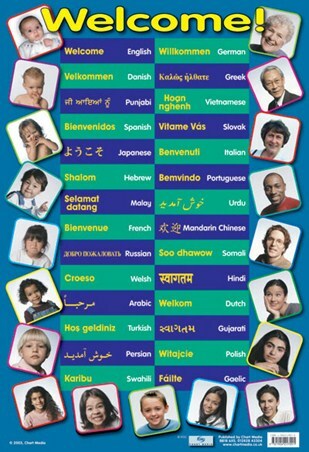 Educational Mini Poster: There is fun for all ages in this vibrant languages poster that is sure to keep you and your family entertained. 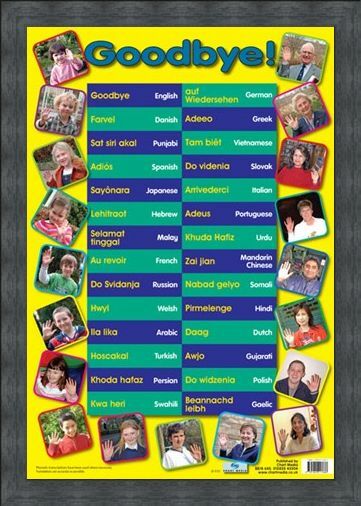 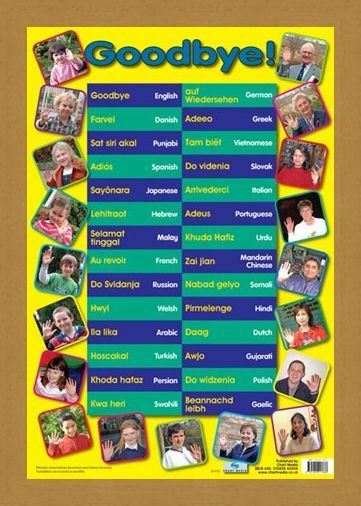 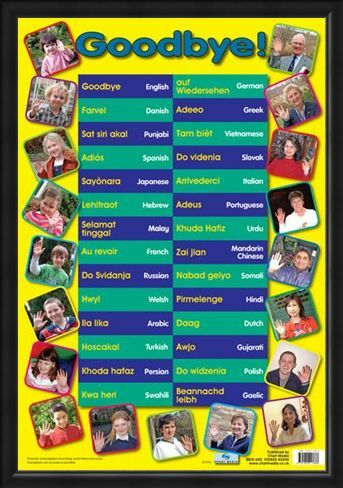 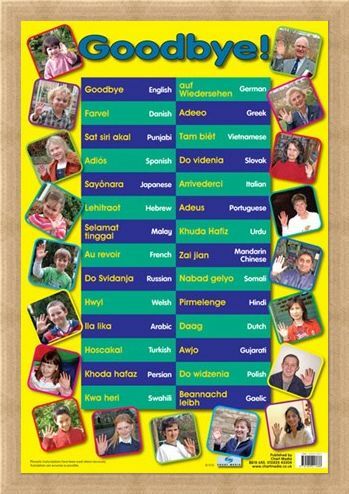 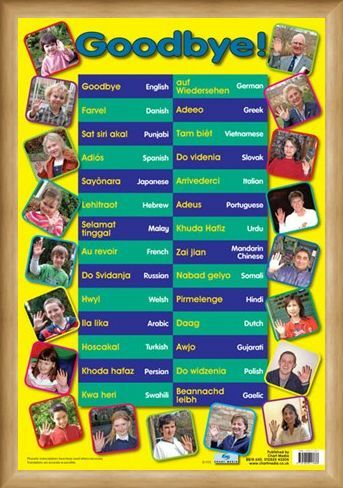 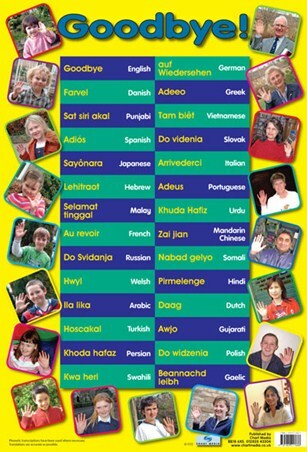 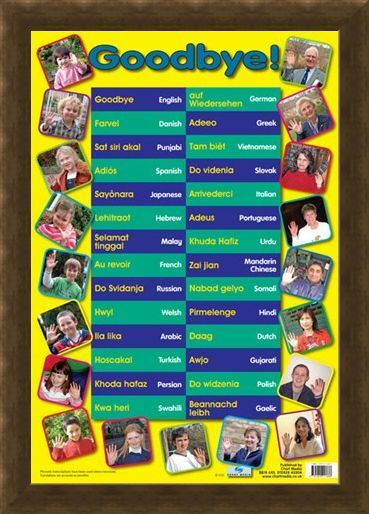 Learn how to say "Goodbye" in 28 different languages with this poster that oozes positivity with huge smiling faces of people, rangin from children to old aged pensioners as they take on the challenge of learning different languages. 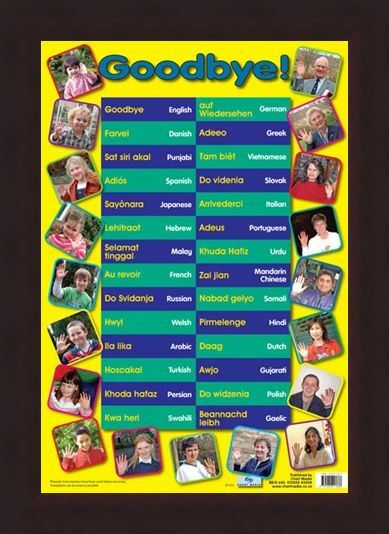 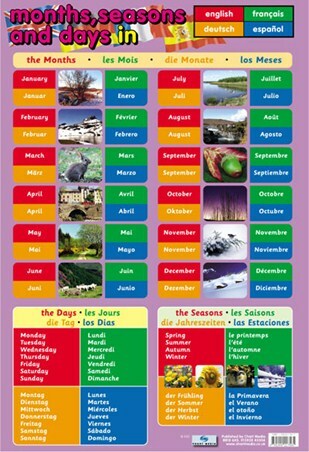 Perfect for any traveller, you can learn to say "Goodbye" in Danish, Punjabi, Spanish, Japanese, Hebrew, French, Russian and many more with this fun packed glossy poster to take on your travels. 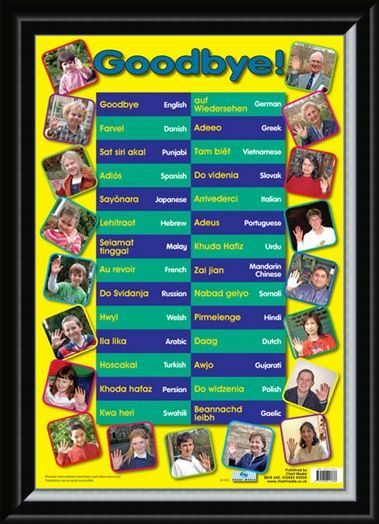 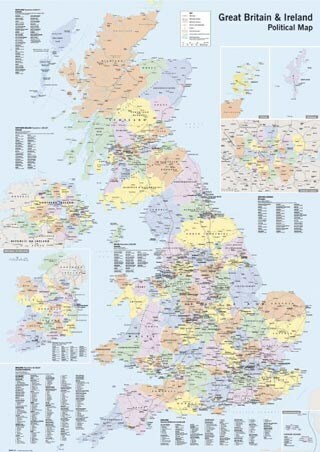 High quality, framed Goodbye, In 28 Languages mini poster with a bespoke frame by our custom framing service.